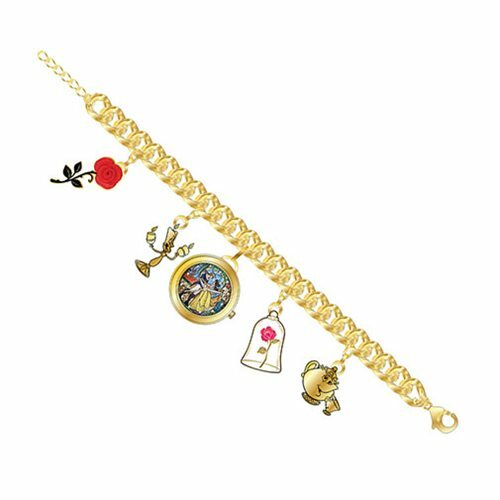 Celebrate your love of Disney with this Beauty and the Beast Watch Charm Bracelet! This elegant, fun bracelet features some of your favorite characters and icons from the classic, animated film. This Beauty and the Beast Watch Charm Bracelet measures about 6 3/4-inches long and comes with a lobster clasp and extended chain. Ages 13 and up.